that a periodic eye exam can reveal underlying health issues long before other symptoms are present? In addition to identifying vision complications and eye disease, a comprehensive eye examination can also reveal conditions like high blood pressure, diabetes, or even a brain tumor. The American Optometric Association recommends that adults under age 60 undergo a Comprehensive eye exam at least once every two years. At-risk patients and patients over age 60 should get an eye exam annually. Yes. Eye examinations can reveal much more than vision impairments – they can save lives. If you haven’t had an eye exam in the past 12 to 24 months, contact your eye doctor at Victory Eye Care in Dacula to schedule an appointment. If you are given a clean bill of health with no vision impairments, you can return to your normal activities and plan to visit your eye doctor at Victory Eye Care again in one to two years. If you are found to have refractive errors, you may be given a prescription for corrective lenses. 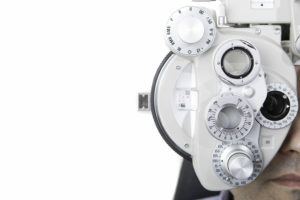 In cases where disease is present, you may be referred to a vision or medical specialist for further treatment.